Award-winning long-range motor yacht builder Outer Reef Yachts is proud to announce the new 580 Classic Long Range Motor Yacht will make its world debut at the 2015 Fort Lauderdale International Boat Show, November 5-9. 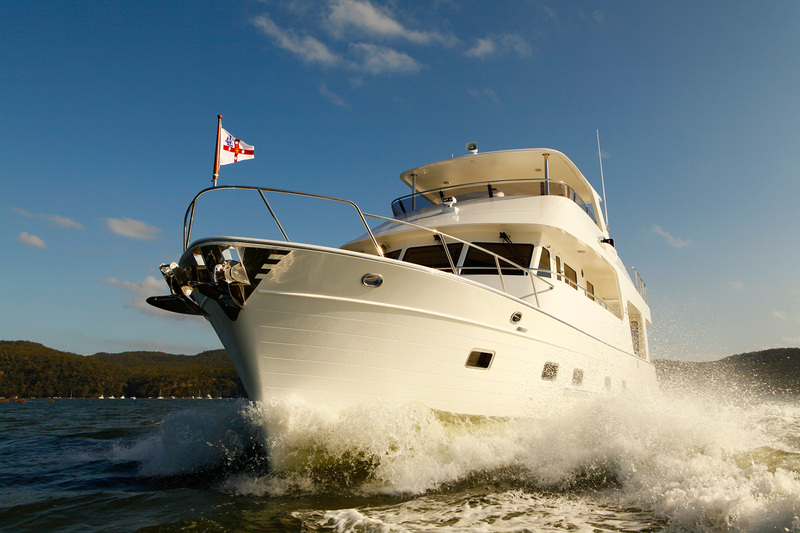 Built to unlimited Ocean Category A Standards, this high quality pilothouse yacht provides great fuel economy, with her 1000 gallon standard fuel capacity at hull speeds. As the smallest Outer Reef in the Classic collection, the new 580 expands the size range offering of the builder’s Classic Motor Yacht series, now ranging from 58 to 115 feet. An exciting feature of the new 580 Classic yacht is her 17’2 beam overall, ensuring specious accommodation including a king berth master amidships, queen VIP cabin forward, and port guest cabin with two berths. Other conveniences include a full size washer and dryer in the forward accommodation space, stand up engine room with both fore and aft access, and a large lazerette with a transom door. The open main deck layout provides unlimited sightlines from her pilothouse, an adjoining galley with full size appliances with large pantries, and a comfortable salon with covered aft deck for alfresco dining. In addition, the Outer Reef 58’ Long Range Motor Yacht is equipped with bow and stern thrusters, oversized stabilizers, upgraded inverter system for systems operation at anchor, a hardtop over her upper helm and seating area, and a boat deck with a hydraulic davit to launch her 13 foot tender to both the port side or the stern of the vessel. Outer Reef Yachts also will launch the latest 820 Cockpit Motoryacht, with a slightly altered accommodation layout to her predecessor - the 800 Long Range Motoryacht - at the Fort Lauderdale International Boat Show. In keeping with the core philosophy of the all Outer Reef builds, the 820 Cockpit Motoryacht offers the utmost in cruising pleasure and comfort, with highly livable exterior spaces and well-thought-out furnishings. Updated styling offered in the new 820 Cockpit Motoryacht includes a reconfigured crew area and staircase from salon to crew, which creates an increase in space, efficiency, and convenience. As with all Outer Reef’s models, the exercise of consistently reviewing and refreshing the design and engineering is the reason behind the company’s leadership position within the industry. In addition to these two new yacht debuts at the Fort Lauderdale Boat Show, the Outer Reef Yachts display, located at the B/C Dock, will also showcase the most recent build of the Outer Reef 650 Long Range Motoryacht, along with a 700 Long Range Motoryacht.